The gaming market is currently dominated by multiplayer action games like PUBG, Dynasty Warriors: Unleashed, or Iron Blade: Medieval Legends. Lan Zhao has launched Fantasy Adventure for younger players. Games are not just a forum for you to enjoy the adventure of experience, but also the fun of other players for free days. The dark forces under the command of Augustus are in jail intended to escape and invade our world. They conspire to destroy the crystals that hold the demon in them. Human life is threatened so we need heroes that can protect the world and you are one of those heroes when participating in Fantasy Adventure 3D RPG. There will be a character who guides the player how to fight, then depend on the ability that the player self-destructs the enemy. The system will provide eggs with different colours for the player to choose from. Each egg will carry a summoned beast in it, the player nurtures them and takes them into battle with him. You can collect summoned animals for a variety of collections and points. 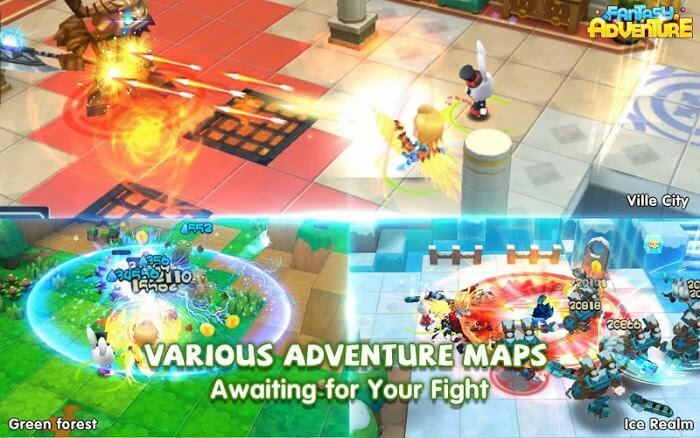 Each character has their own fighting skills, and when exposed to higher levels each new skill will be opened to help players fight monsters. Depending on the number of stars evaluated by other players, you can tell what kind of animal they are, how well they can fight each other and choose them to fight. In addition to the tasks that need to be done, players can entertain themselves by taking small gifts from the game, buying other summoned beasts, attending events or changing the look and costumes of the characters. 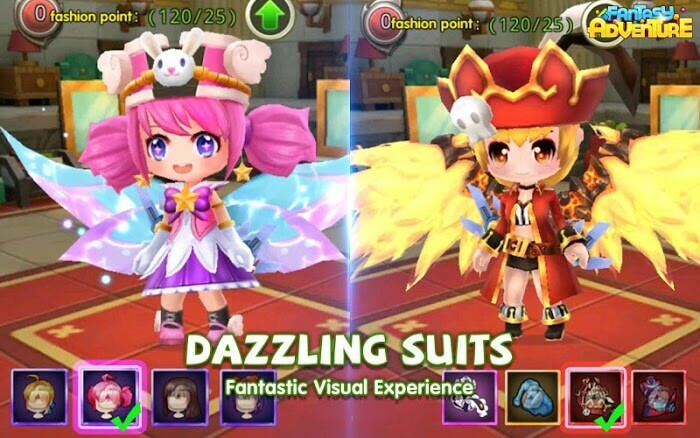 From hair colour, weapons to armour, your character will become more adorable than ever if mastered diligently. 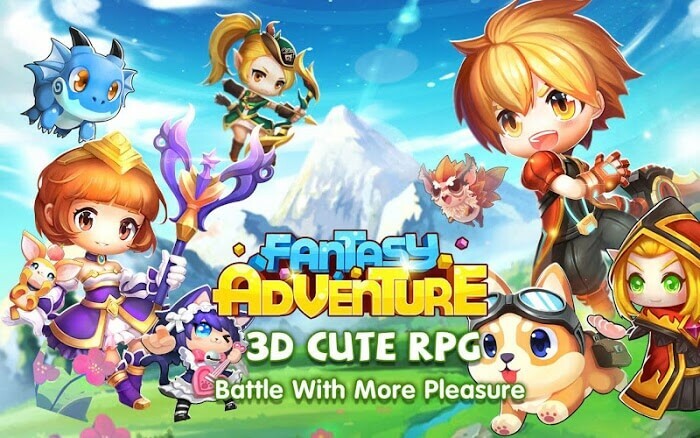 Compared to the current games, Fantasy Adventure does not follow the trend of building developed characters but prioritizes the chibi style to attract people’s attention. Characters and demons are all voiced, which gives the player a new experience. 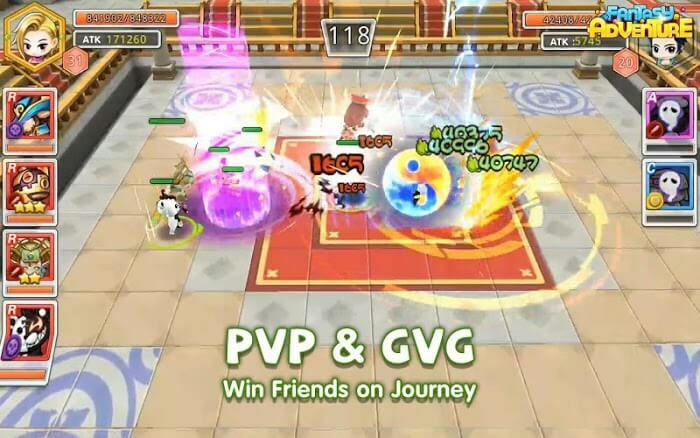 When not involved in the battle, the characters can communicate with each other, discussing how to attack monsters or care for the summoned beasts. Not only that, but the 3D space is also built from the beautiful land of the vast prairies like the Green Forest, or in the magnificent palaces, such as Ville city and Ice Realm. The characters are designed in small combinations with cute but no less unique, combined with a system of lovely mammals such as dragon, cat fox, panda … each species has extraordinary strengths. All role-playing games nowadays have outstanding features that appeal to gamers but are mostly for teens and older. Therefore, for Fantasy Adventure 3D RPG, the audience can be everyone, including those who love to challenge. You want to become heroes against evil people who always try to destroy peace. In order to protect the world peacefully, you will be a participant in fighting and nurture pets, promoting their full potential to protect the world. Register now and become a hero.